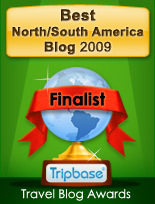 March 18, 2008 – A Mexican friend of mine went to Soriana in nearby Chapala the other day. It’s a box store with a large parking lot, and there are always several guys there washing cars while you shop. We often get our car washed there. When one of the men asked her if he could wash her car, she began by saying, "It’s hardly worth it because of all the jacaranda trees where I live… my car never stays clean." But when she glanced at him, the disappointment in his face caused her to change her mind and say "Sure, go ahead and wash it." When she was done with her shopping, she paid him what he asked, some 25 pesos, and she added a tip. The man’s eyes welled up with tears and he told her that he had had no work in two days and his children had not eaten. Yesterday, Kelly and I did some shopping at SuperLake, a grocery store on the main highway in San Antonio Tlayacapan which caters to foreigners. I’ve mentioned it before — it’s where I get a lot of things that a typical Mexican store doesn’t carry, like tamari, brown rice, and black tea. There is an indigenous woman beggar who is usually sitting on the sidewalk in front of SuperLake or the liquor store next door. I often give her ten pesos and over time, we have developed a friendship. She has had some health problems which we have discussed, and she has showed me the medications prescribed by the IMSS, the national health care system. Here is a photo of the two of us on the sidewalk in front of the community bulletin board, taken with her permission. So after hearing my friend’s story about the man at Soriana, yesterday I squatted down and told my beggar friend that a Mexican had been talking with me about how sometimes people here don’t have anything at all to eat. Does this happen to her? She nodded. On the days that she comes and begs, she can always eat something, but on the days she stays home, sometimes there is nothing to eat. She said she has to pay, not for only food, but also for her rent and light bills, as well as bus fares, from what she earns begging. I know she lives a bus ride away beyond Chapala someplace, not in the fancy high-rent districts. Well, I wasn’t born yesterday and I knew that many poor Mexicans eat a substandard diet. But I was a bit taken aback by total lack of food. I asked if she had family that helped her. There was a bit of a catch in her throat as she said her daughter does sometimes. I got the feeling there was a sad story there, so didn’t pursue it. I asked if she got any money from the government and she was astonished at the idea. I went into Tony’s for lunch with friends, and told them what I’ve just written here. One of them said she never gives to beggars but will now. Lakeside has a small contingent of regular beggars, and most of them are not whining… the ones in the more anonymous atmosphere of Guadalajara tend to do desperate pleading which is pretty rare here. There’s a blind man stationed in front of Tony’s who speaks English and I often say hello as I walk past him. As I did my shopping a little later, splurging on a package of that nice Mexican brie I have just discovered and loading up on luscious golden mangos that are now in season, I felt wealthy. As we put our groceries in the trunk of the car, I said hi to a fellow standing in the parking lot with his dog. I had chatted with him before. He’s American and had been singing quite a lovely song in front of SuperLake once, begging in that way. Yesterday when I said hi to him, I reached in my purse for a coin. He said, "You gave me something before. I try not to ask the same people," and he went on to mention that he is homeless, which didn’t surprise Kelly or me. Haven’t seen any other American homeless here. I gave him the coin anyway. Any hunger is too much hunger. Wow! You cut to the chase. While I have always been a giver, I have found myself sometimes getting irritated by the seemingly endless supply of palms outstretched. After reading this though, I looked at others through new glasses when we were in Ensenada yesterday. Here at least the supply of palms is not seemingly endless, and I think that helps me keep from being annoyed and separated. When I am in the Lake Chapala area, I always ask for a doggie bag. I either give my leftovers to people that are begging or animals. I always ask. "would you be interested in my leftover lunch?". I have not had anyone to say no. One day I had chicken alfredo with a salad bar at Salvadores. No way I could finish. I took it in a box and ask the lady that sits on the sidewalk close by if she would like it. She seemed thrilled. I hate to waste anything!!!! I am not too good to ask for a box, for leftovers, even if they think it is scraps. I always find little dogs to give it to. Good approach, Beverly. That day that I blogged about, I made a taco out of part of my fajitas and handmade tortillas and took it out to my friend still warm, in a napkin. Hello. I reached your blog by chance, doing a search on Parras de la Fuente, a town you visited. I am mexican, living in Monterrey. After reading this post, I felt moved by your actions. I understand the feeling of "makana gabriel" about the seemingly endless supply of palms outstretched, I feel the same too, I guess a lot of people feel the same. I almost never give to beggars, specially if they are young. I feel that, if you want to help and give, there are more efficient ways to accomplish something.. going to a charity organization, like "Cáritas". You may found many more in your city (Guadalajara, right?). The reason of me not giving to beggars, is that sometimes they use awful tactics to get to your heart. For example, in Mexico City (not sure if they do the same in Monterrey, Guadalajara or other cities) You can go to some real aweful people and "rent" kids, to make people think they are yours, and look very needy. The worst part of this story is that the kids are under drugs. They force them to use drugs so they don’t cause any trouble. At the end of the day, these beggars return the kids to the person who rented them and he locks them away.This is an awful story, unbleliveable, I know. But it’s true. It was featured on a Televisa TV program, I doubt they made it up. So I prefer to give to organizations. The only time I give to people are when they are old, alone, and then I never give money. I give food, blankets and offer to take them to a safe place. But.. please don’t stop giving. If you have been blessed with more than you really need, then you can do a lot of good to the people that surrounds you.